Wish to forward an email with photos to your friend on Facebook? Forwarding an email to a Facebook account is really easy as long as you got the correct email address of the Facebook user. 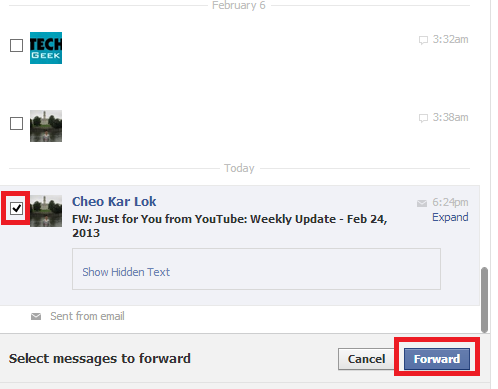 In this tutorial, I will teach you how to forward an e-mail message to a Facebook user and vice versa. If you have absolutely no idea how emailing works on Facebook, I recommend you to read this useful guide about Facebook email. Do note that the screenshots in this tutorial are taken on 25/2/2013. The Facebook’s interface or features may change in the future, and I will try to update this post as soon as possible to make sure it is relevant if there are any significant changes. 1. Your Facebook email address is the same as your Facebook username. To find someone’s Facebook username, simply go to his/her timeline and the URL of his/her timeline will appear in the location bar of your browser. For example, if your friend’s Facebook profile link is “http://www.facebook.com/carlcheo?fref=ts”, then his Facebook public username will be “carlcheo“. 2. 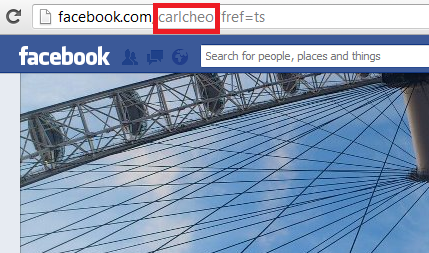 Add “@facebook.com” behind the username, which will be “carlcheo@facebook.com” in this example. 3. 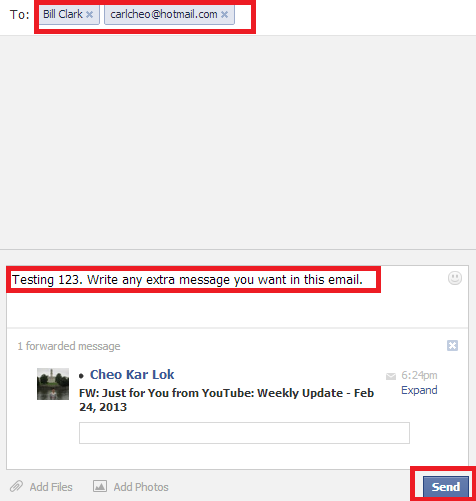 Forward your email to the Facebook email address. Make sure you are using the right email account which is linked to your Facebook account, so that Facebook will not block your email message. I have tried sending email to my Facebook friend by using another email address which isn’t linked to my Facebook account and he failed to receive it. 1. 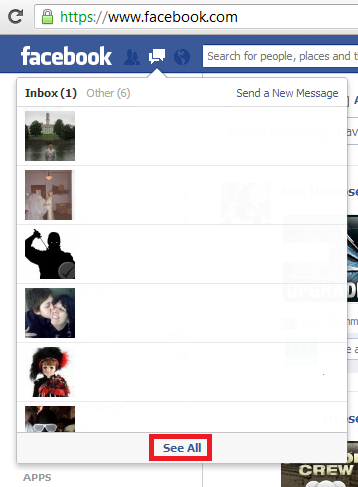 At the top left corner, click on the message icon and select “See All”. 2. Select the conversation that you want to forward. Under “Actions”, choose “Forward Messages…”. 3. Check boxes will appear beside the messages. 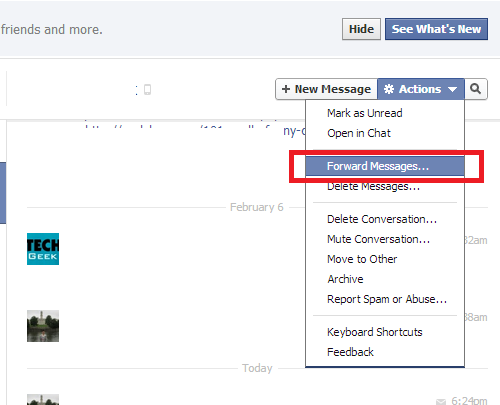 Select the messages that you want to forward and press the “Forward” button. 4. Enter any email addresses or Facebook names who you want to forward this message to. Write any extra messages if you want. Click “Send” and you are done! Do you find this article to be useful? Tell me in your comment!